All good Christians get up early in the morning to pray, read the Bible and quietly reflect upon God, don’t they? On the other hand, is it possible that there are kids and adults out there who truly have a heart for God even though they don’t necessarily engage in the central spiritual practices of the Christian faith as frequently or consistently as some in the church would deem optimal? Prayer: Kids and adults with ADHD are more likely to struggle in setting aside time to pray consistently. They may have difficulty remembering what they wanted or needed to pray about when they make time to pray. Prayer logs and journals may be as important for the Christian with ADHD as daily planners and organizers are for the kid in school with ADHD. More importantly, persons with ADHD may have a more difficult time listening for God’s responses to prayer. The ability to “Be still and know that I am God” is a challenge for all of us in our modern society, but even more so for kids and adults with brains wired to notice the trivial and mundane. Bible Study: Kids and adults with ADHD are more prone to give up on studying the Bible when it becomes tedious. Many of us start off each year with good intentions and do OK through Genesis and Exodus, but the person with ADHD is going to struggle with Leviticus and has probably abandoned their resolve by the time they get to Numbers or Deuteronomy. Many kids with ADHD tell me they get distracted while reading by the words on the page. I know lots of folks with ADHD who have to use highlighters while reading to focus on the main points. I don’t think God minds the Bible being all marked up if it helps the reader absorb more content. I think it’s important to remember (to paraphrase Reggie Joiner) that while all Scripture may be equally true, not all Scripture is equally important. One place where the church can help is by presenting the most important truths of Christianity in ways that are relevant, engaging and interesting. If kids with ADHD and their parents can’t stay focused long enough to get all the way through the Bible, let’s make sure they get the most important parts. Meditation: Reflecting quietly upon a passage of Scripture or upon some attribute of God is going to be more challenging for kids and adults who have more difficulty holding words or images in their minds. The shorter the time spent in meditation and the more direction given to the meditation, the more likely the exercise will be in facilitating spiritual growth. Service: Kids with ADHD may have a difficult time remembering and getting started on uninteresting tasks. Just ask one to take the garbage out or clean his room if you need an illustration. On the other hand, serving can be a powerful experience if the act is meaningful and the skill set required fits within the giftedness of the person with ADHD. Here’s a great example: I used to participate in an annual event, ADHD Experts on Call, that was hosted by Ty Pennington from Extreme Makeover Home Edition, who was serving at the time as a national spokesperson for ADHD. The kid or adult who has to be dragged to a Bible Study kicking and screaming may be all charged up about working on a Habitat crew, renovating houses for single moms in the city, or digging wells for villages in Africa. Worship: Many kids and adults with ADHD may do better with worship events as participants as opposed to spectators. 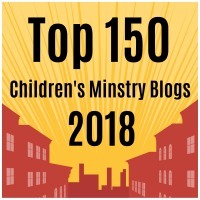 One of the churches we were working with through Key Ministry offers monthly family worship experiences that parents attend with their elementary-age kids emphasizing Biblical virtues. The director told me every kid who performed on stage in their family worship was being treated for ADHD. Evangelism: Evangelism is one spiritual discipline in which having some ADHD traits might actually be advantageous. Kids and adults with ADHD may have an easier time acting on the impulse to share their faith with others instead of pondering all the reasons why saying nothing might be a good idea. 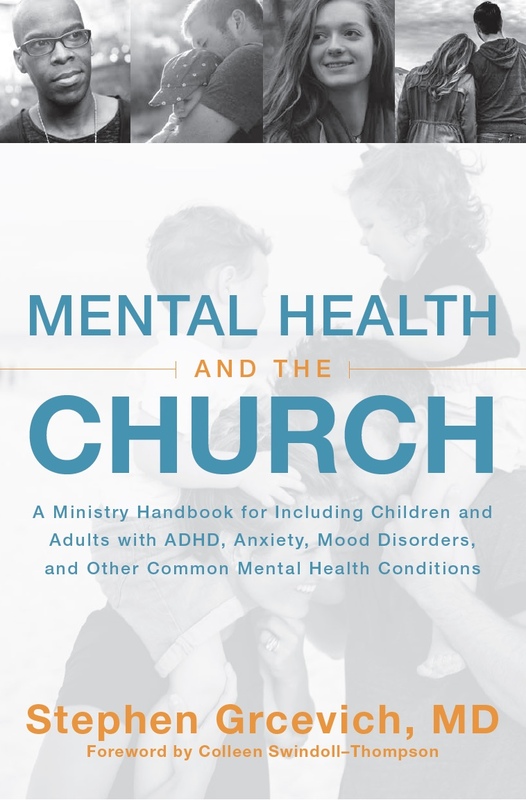 We’ll talk more in a future post about the ways in which ADHD might be of benefit to Christians, but one observation I’ve made in working with lots of churches through Key Ministry is that a disproportionate number of senior pastors probably have ADHD, in part for the reason described above. Today’s take-home: If God wanted cookie-cutter Christians, that’s what He would have made. We have different spiritual disciplines because we won’t all grow closer to God in exactly the same way. The key for church leaders, parents and those who care for kids with ADHD is helping them identify those disciplines that excite them about God and help them grow closer to Him! This entry was posted in ADHD, Key Ministry, Ministry Environments, Strategies and tagged ADHD, Experts on Call, Key Ministry, Reggie Joiner, spiritual development, spiritual disciplines, Stephen Grcevich MD, Ty Pennington. Bookmark the permalink. This is a very interesting and informative article. My son has ADHD and I am thinking that I have it as well. (But I’m not diagnosed). What do you say to those who say that ADD/ADHD does not exist – that it is due to parents neglecting their parental responsibilities to teach their children biblical principles. And to those who say that ADD/ADHD did not exist prior to late 20th century. Thank you for this. My name is Dianne and I have been looking for a study I can do with my 16yr old foster daughter who has some executive dysfunction. She had some past history of attending church and my husband & I want to try to disciple her. Knowing her difficulties I want to be very cateful in selecting the matetial to start with. I wad hoping you might be able to help me refine my search a little.